Business Lobby to Test PERS Measure: Members of the Oregon Business Council, a group of large employers, have pooled funds to test messaging for a possible 2020 ballot measure aimed at reducing the gaping $27 billion unfunded liability in the state's Public Employees Retirement System. Democratic lawmakers, who hold supermajorities in both chambers, are uninterested in making cost-containment concessions on PERS by cutting retirement benefits as part of proposed multibillion-dollar tax increases. It is unclear whether the nascent ballot measure effort, led by Tim Nesbitt, former statewide head of the AFL-CIO, is merely an attempt to give business interests leverage this session or is genuinely headed for the ballot. "It's a possibility but not our preference," Nesbitt says of a ballot measure. "We'd rather do something during the session." Monroe Lawsuit Settles: A tenant's lawsuit against former state Sen. Rod Monroe (D-Portland) has settled for an undisclosed sum. 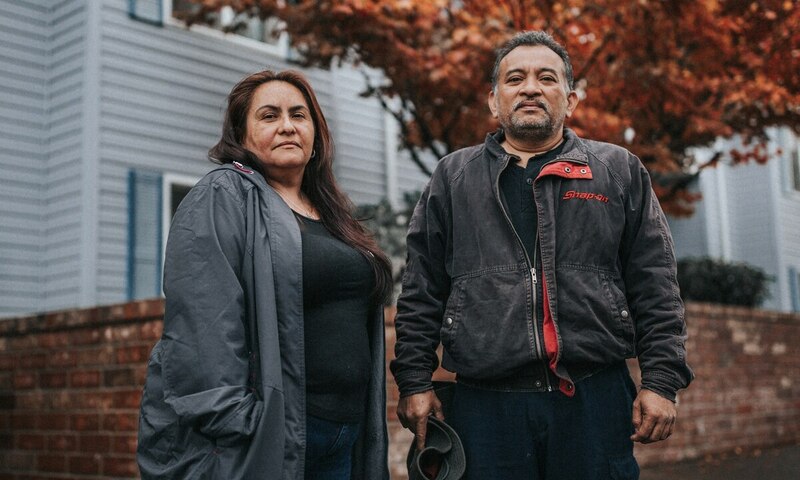 Areli Lopez sued Monroe, her landlord, and his property management company in 2017, alleging a leaky roof caused a fall resulting in a back injury. The lawsuit came after renter-rights group Portland Tenants United began organizing Monroe's building. Monroe blocked tenant protection legislation in the state Legislature in 2017, a move that contributed to his blowout defeat in the 2018 Democratic primary. On Monday, Senate Bill 608, this year's tenant protection bill, passed out of committee, after a hearing chaired by Sen. Shemia Fagan (D-Portland), who defeated Monroe. Tenant protections are expected to pass this year, given strong support from Senate and House leadership. Teen Detained for Shopping While Black: A new lawsuit says security guards at the J.C. Penney in Clackamas Town Center mall detained and interrogated a black teenager after he finished a shopping trip last September. The guards eventually let the 17-year-old, identified as "D.C." in court filings, walk free after finding he had receipts for all of the clothing in his shopping bags, says the lawsuit filed in Multnomah County Circuit Court on Feb. 4."D.C. went shopping while black," the lawsuit says. "J.C. Penney and its security guards intentionally chose to accuse D.C. of theft, detain, and search him based on his race and the color of his skin." The teen's attorney, Michael Fuller, says he is representing D.C. pro bono after meeting him while volunteering with at-risk kids in the David Douglas School District. He says all proceeds from the case will go to a college fund for the teen. J.C. Penney did not respond to a request for comment. Eudaly Cleared: A county watchdog panel has cleared City Commissioner Chloe Eudaly of any wrongdoing related to her unusual get-out-the-vote effort before the November 2018 general election. On the Friday before Election Day, Eudaly led city workers, operating on taxpayer time, to distribute information about how to vote. The Multnomah County Republican Party filed a complaint Oct. 29 accusing Eudaly of illegally using public funds for political purposes. In a Jan. 16 report, the Tax Supervising & Conservation Commission wrote that the "event was lawful and the funds were appropriately budgeted. Therefore, there is no malfeasance." In a Jan. 29 response to the findings, Eudaly chief of staff Marshall Runkel wrote that Eudaly's "office is encouraged by the results of the GOTV efforts," citing increases in voter turnout in the four precincts targeted as compared with one the GOTV effort couldn't visit.